There are 1 cat videos tagged with cardboard. In a great DIY video found on Best For Cats, learn how to make a cardboard house for your cat! If you're not up to the challenge of making it yourself, check out this list of 5 of the best cat scratching posts. 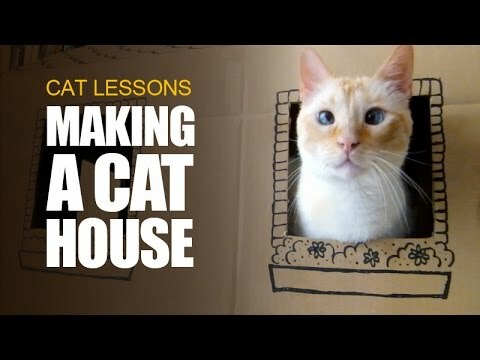 In a great DIY video found on Best For Cats, learn how to make a cardboard house for your cat! If you're not up to the challenge of making it yourself, check out this list of 5 of the best cat scratching posts.